The Aztecs relied on markets and merchants to move goods form producer to consumer. Market means the physical space where buyers and sellers congregate to exchange goods and services. The Internet is a market place for producers, merchants and consumers. The market space is virtual and buyers and sellers are linked worldwide. Some of the vendors are professional merchants who travel from market to market; others are farmers or artisans or members of their families who sell their products as a part-time activity. Individual markets are usually linked together into an integrated market system. The volume of goods that moved through Aztec markets was enormous. 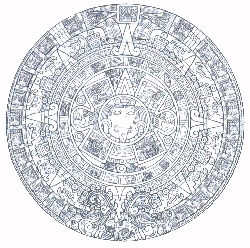 Aztec markets and trade were largely independent of the state. The essential features of a Aztec market: many diverse goods and services, liness of vendors, and the presence of judges. Some Aztec markets specialized in particular types of goods. Aztec markets were not just economic institutions, they also served an important social function. The market system was the institution that linked together the various sectors and regions within this dynamic economy. Marketing was the one activity that allowed the averge person to get ahead economically. Some of the vendors are professional merchants; others are farmers, artists or private individuals who have something to contribute to the market place and/or sell. The market is linked together into a worldwide market place. The volume of goods is enormous and growing constantly. The Internet is independent. You can find in the Internet: many diverse goods and services from all around the world, vendor size is not important and the market never closes. Some pages specialize in particular types of goods. The Internet not only serves an economic function, it also has important social features by linking families or friends scattered around the world. The Internet links countries and regions of the world. Marketing is the one activity that allows everybody participating to get ahead economically.